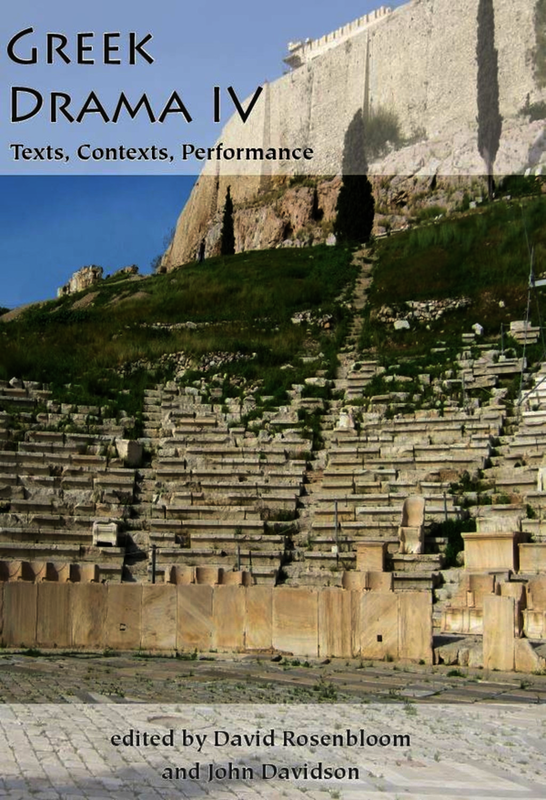 Greek Drama IV: Texts, Context, Performance contains fourteen papers that comprise a snapshot of current work on Greek drama. How do notions of performance and performance context influence interpretation of individual plays? How do we reconstruct fragmentary plays and understand the experience of watching plays in succession? To what extent does genre shape dramatic performance and its reception? Is tragedy an art form that interrogates the basic structures of experience that audiences take for granted outside the theatre? How is dramatic performance related to democracy as a political culture and as a set of institutions and practices? These are questions the contributions collected in Greek Drama IV seek to answer. The volume's Introduction considers ideas of text, performance and performance context central to contemporary scholarship and locates the volume's contributions within that scholarship. Euripides forms the heart of the volume. Eight of its fourteen papers deal with his plays: the climax of Trojan Women , genre and meaning in the choral odes of Alcestis , the idea of Sicily in Cyclops , the politics of enmity in Orestes , the reconstruction of the Archelaus and the Iphigenia at Aulis and Bacchae as companion plays performed in 406 BC. Two papers focus on Hecuba from different angles: one examines the play's manipulations of audience emotion, while the other analyses tensions between decree, durable law and moral-religious authority in the play. Two papers concentrate on individual plays of Sophocles. One reads the debate between Electra and Clytemnestra in Electra as utterances that perform and seek to determine the contestants' identities; the other discusses the blurring of the boundaries that structure experience in Trachiniae . Aeschylus is the subject of a paper that reads Persians and the three plays performed with it in 472 BC as a tetralogy linked by prophecies of Greek Persian-war victories. Comedy and tragedy feature in a study of anandreia (lack of manliness) as feminisation in staged attempts to avoid military service. Papers devoted to the nesting of dramatic performances within Athens' democratic political culture and to the story of how one regime for financing plays ( choregia ) was replaced by another ( agonothesia ) in late fourth-century Athens round out the collection.